Having helped more than 14,000 recipients since 1989, EDI is the most experienced egg donor agency in the world. James and I would like to express our deepest gratitude to you and your donor for giving us the ability to have the child we've always wanted. From the first moment of contact, you are met with sensitive, caring, compassionate, and committed staff. We had the extreme pleasure of working with Stephanie Kwong, the Program Director. Anyone who has undergone the heartbreak of infertility knows how stressful and difficult the process is in pursuing other options to build a family, including egg donation. 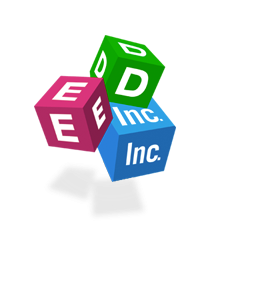 Throughout our journey, ED, Inc. was responsive, reassuring, and very attentive to our specific needs and requests. They “get it” and truly understand the complexity of this process and how important it is to resolve little problems before they become huge and how to keep the process going as smoothly and efficiently as possible. I have been so impressed by their level of commitment both to the recipient couple and the donor. They work diligently to ensure that the match you desire proceeds without unnecessary difficulty and when problems do arise they strive to resolve them as quickly as possible. 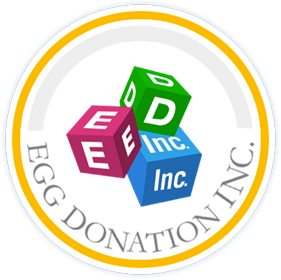 Additionally, the staff of ED, Inc. provides excellent coordination with the medical staff you and your donor work with, as well as all other required coordination, including psychological evaluations for the donor, legal issues and representation, travel, and financial responsibilities of the recipient couple. Their attention to detail cannot be undervalued or overstated as it allows you to focus on the most important aspect of all, choosing the right donor, and minimizing the stress of unnecessary phone calls to all the different professionals involved in making your dream come true. I highly recommend Egg Donation, Inc. to couples who have made the choice to pursue egg donation to build their family. They are a wonderful, compassionate, yet highly professional and experienced agency with an incredible database of diverse donors. Moreover, they are attentive to your concerns and never forget that you are their client and must have sensitive, timely, and confidential responses to your specific needs throughout the emotional roller coaster of infertility and hopes of building a family. I was hopeless when I first found out I was unable to conceive children on my own. I became hopeful when I found Egg Donation, Inc. I now know anything is possible after my experience of working with an egg donor and am thankful for the exquisite care that EDI took in assisting me in having my dream come true. While we sometimes think we could use a bit more rest, we don’t even want to sleep because we can’t stop staring at our little miracles. I gave birth to fraternal twins, we have a beautiful little boy and girl. Stephanie case managed my cycle and she always had wonderful words and positive thoughts to share with me when I felt defeated or just had my own concerns crop up. She was professional, took great care of me, paid attention to all the details, was responsive and help put my nerves at ease. We are so thankful for our wonderful donor Jessica. She is such a doll, and we are so thrilled that we found each other. She continues to impress us with her love, compassion, determination, and diligence in getting everything done in such a timely manner. I hope that our little ones have inherited many of her traits. My heart is filled with joy. My love and blessings go out to all of those who helped me in this process, Egg Donation, Inc. was a huge part of it.